This perennial has a creeping, irregular, brown root. 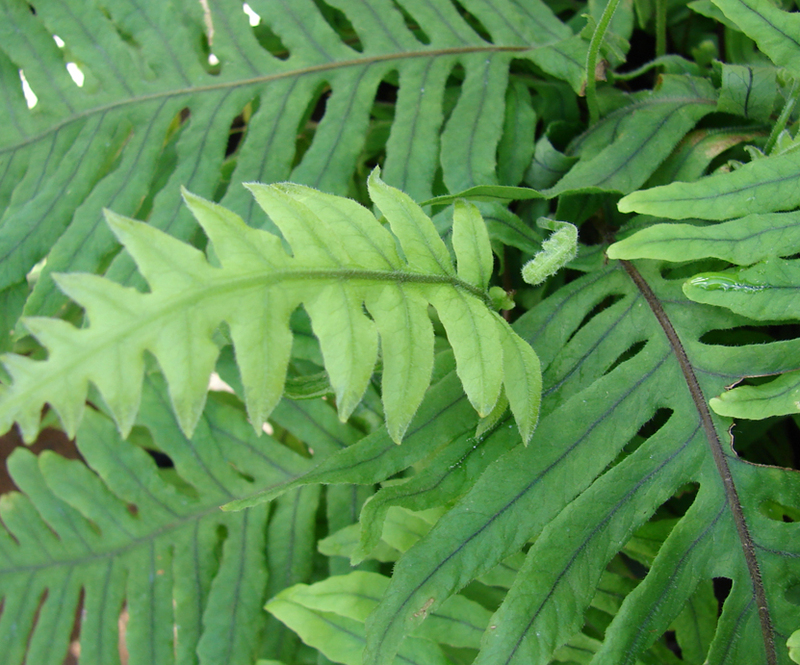 The fronds are from six to twelve inchs high, green, smooth, and deeply pinnatified. The fruit on the lower surface of the fronds is in large golden dots or capsules. Polypodium vulgare var. hesperium (Maxon) A. Nelson & J.F. Macbr. Polypodium vulgare subsp. prionodes Rothm. Polypodium vulgare subsp. serrulatum Sch. ex Arcang.